Getting a beautiful aquarium may be a good way to unwind. Moreover, several studies have demonstrated that seeing fish going about their usual business can make people feel more relaxed, reduce their blood pressure and decrease their stress levels. 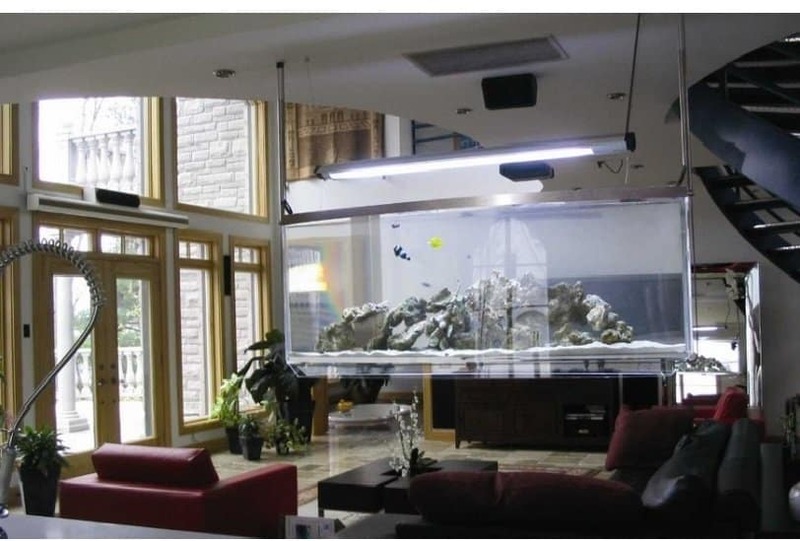 In addition to these benefits, aquarium can be an attractive addition to your house that invites a lot of attention. Many people begin small with a 10 gallon aquarium that has colorful rocks, two plastic plants and some goldfish. 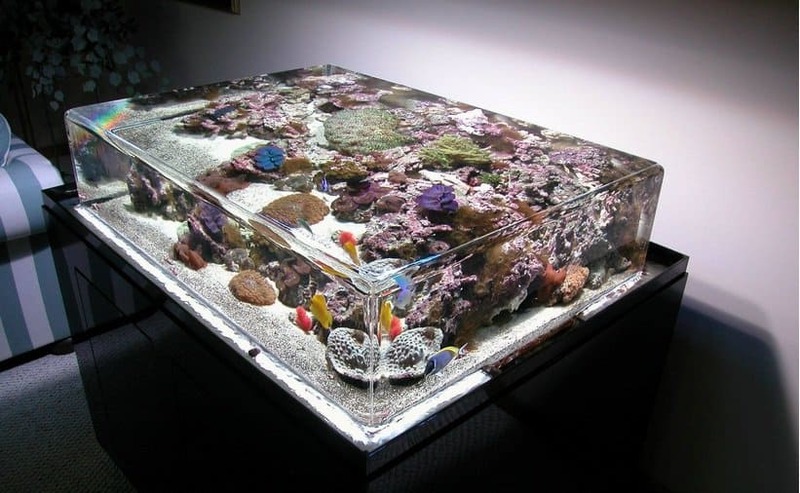 Here are some of the most unusual aquariums you will wish were in your house. 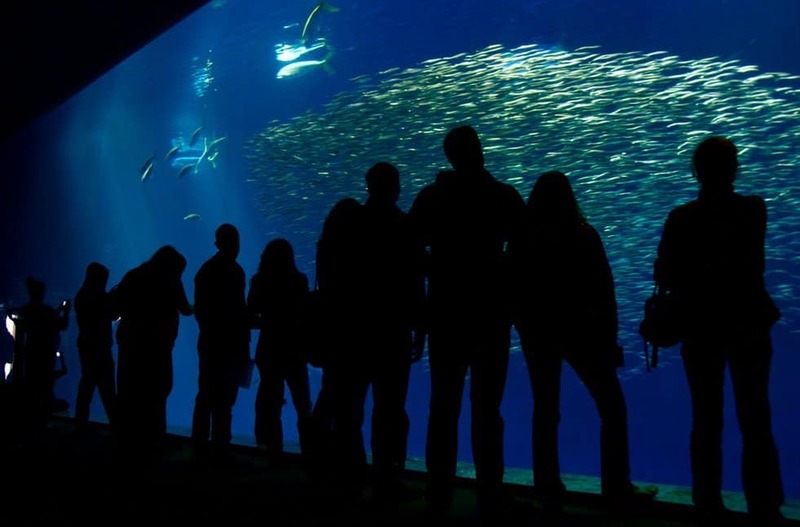 Monterey Bay Aquarium is located in Monterey, California. The aquarium, which was established in 1984, holds hundreds of animals and plants representing over 600 species on display. It contains two huge tanks. One of the tanks contains 1.2 million gallons of water and one of the biggest single-paned windows in the world. 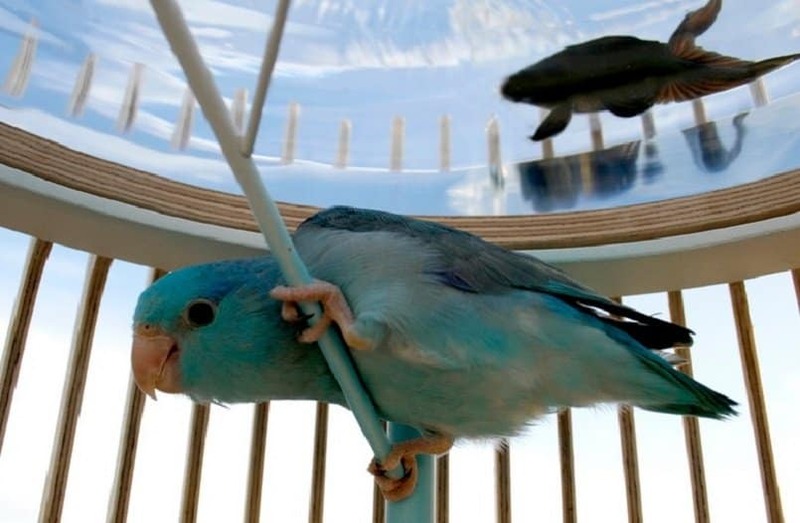 Duplex is a cage/aquarium favoring an unlikely encounter between a fish and a bird. The beautiful aquarium is thermoformed to generate a space where the bird in the cage can fly at the similar visual level as the fish. 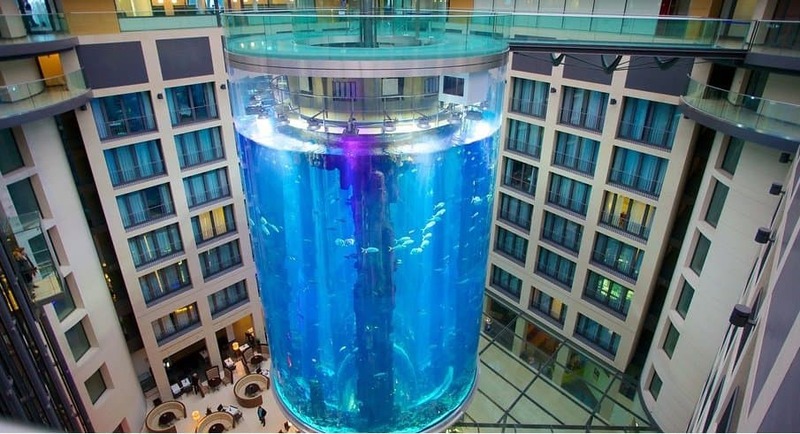 The AquaDom is located in the middle of Berlin’s Radisson Blu Hotel. The aquarium is 25 meters high and and contains a million liters of water. Also, it has a diameter of 11 meters. Visitors can ride a glass elevator up through the center of the aquatic cylinder and view through the transparent walls. This aquarium has no, with the water overflowing into a bowl that recycles the water from the bottom. Also, the zero edge aquarium has no visible hoses or filtration equipment. 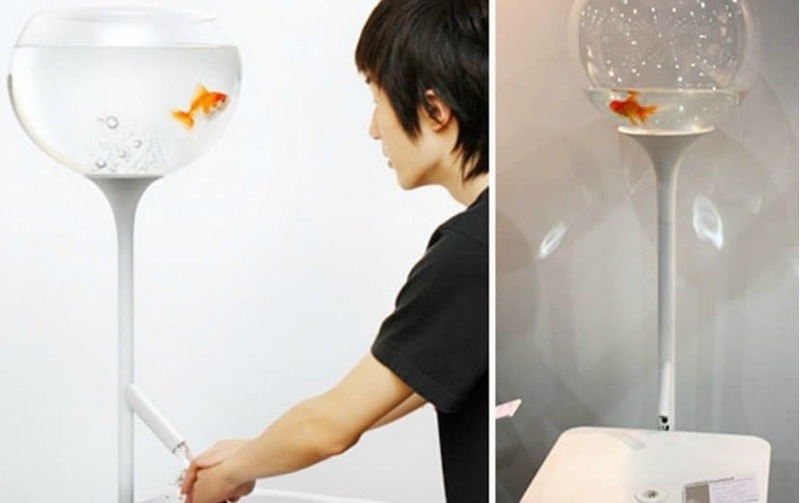 This is the smallest aquarium in the world – which holds two tea spoons of water. The aquarium was made by Russian artist Anatoly Konenko. Poor Little Fish is a strange approach to conserving water. When using the basin, people are provoked into thinking about water use, as the water level in the fish bowl goes down when visitors wash their hands. There are two different pipelines, thankfully returning the water level in the fish bowl to where it was previously. These fish tanks are suspended from the ceiling, holding the tank above the ground. An LED light, which can be found above the fish tank, illuminates in moon white, allowing the fish to be seen. There are feeding holes in the top of the tank, for when your fish get hungry. 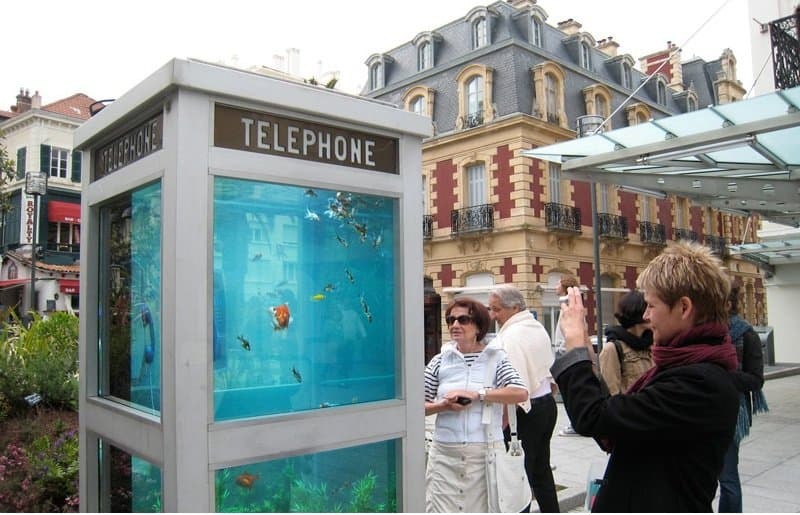 Benedetto Bufalino and Benoit Deseille have converted a normal phone booth in Lyon, France, into a working aquarium, as part of Lyon’s Light Festival. 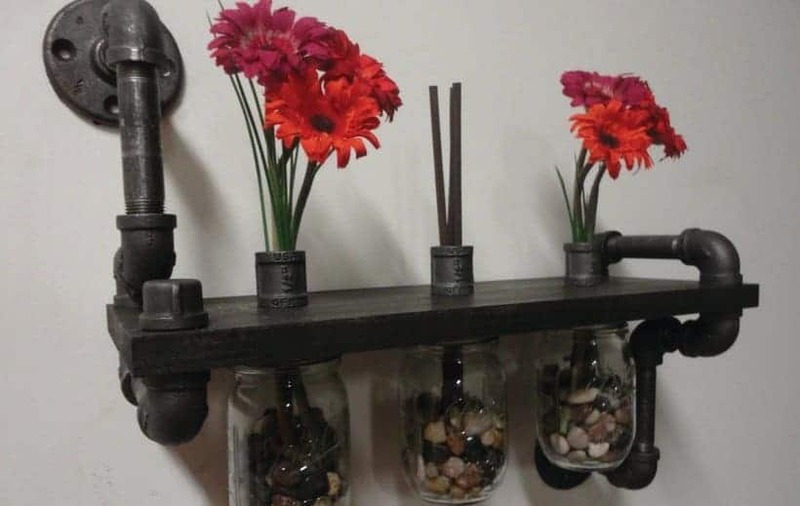 The Mason jars unscrew from the shelf’s bottom, making it easy to clean or fill them. The holes into the jars are big enough to provide sufficient oxygen for a betta fish to live with a plant or flower coming through the shelf. 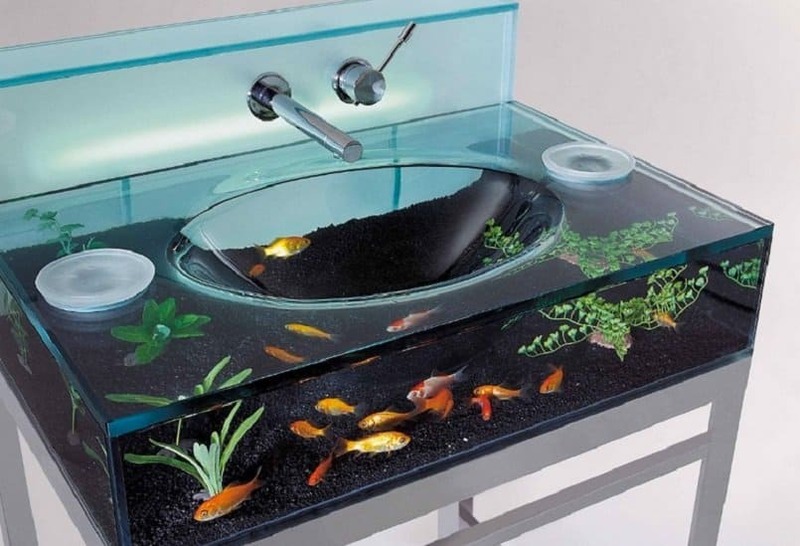 This accessory allows people to enjoy zen garden or an aquarium within their washroom. The top glass rises if people require to reorganize the decor and both sides offer a big, circular entry for feeding of fish.